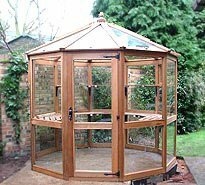 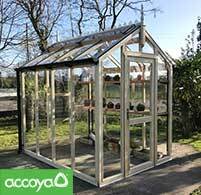 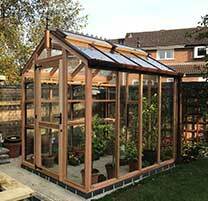 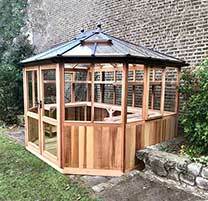 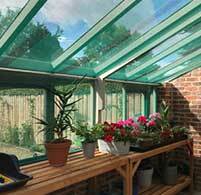 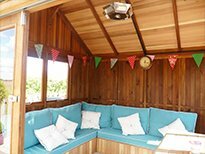 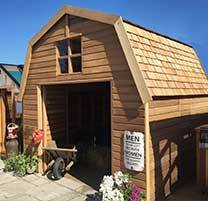 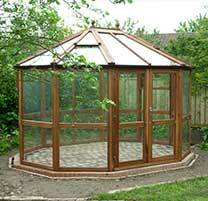 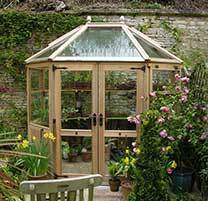 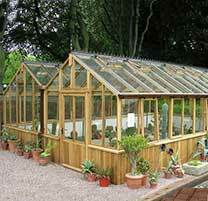 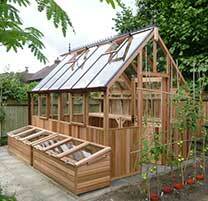 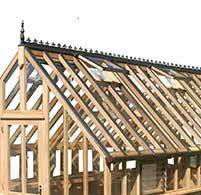 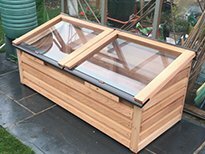 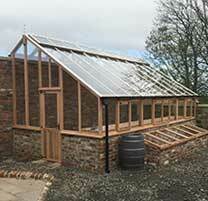 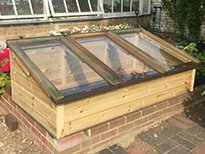 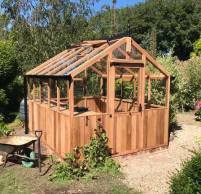 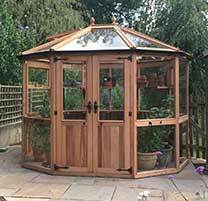 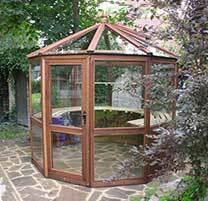 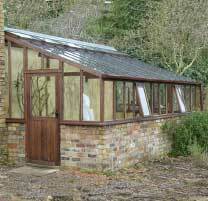 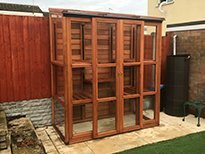 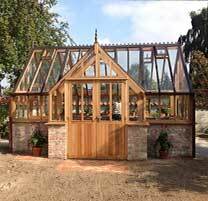 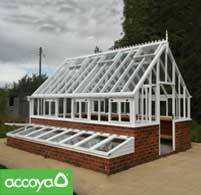 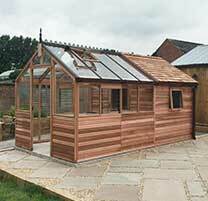 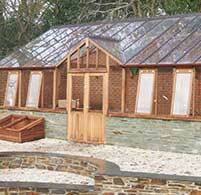 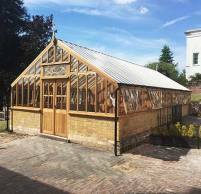 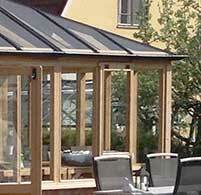 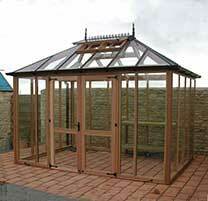 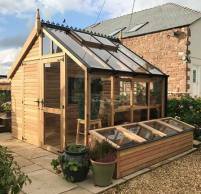 9m x 3m Western Red Cedar Greenhouse, Home office and Verandah combination fitted with both Cedar Shingle and maintenance free roof systems. 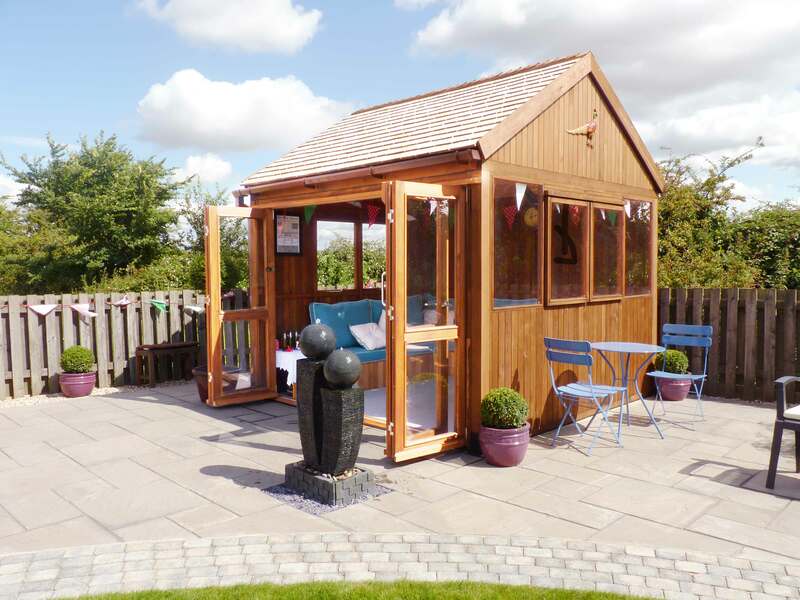 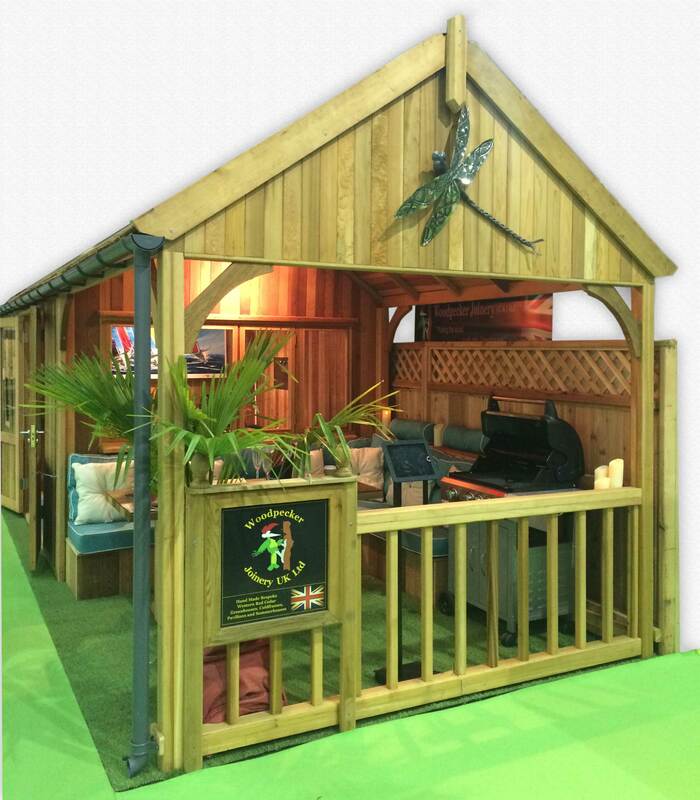 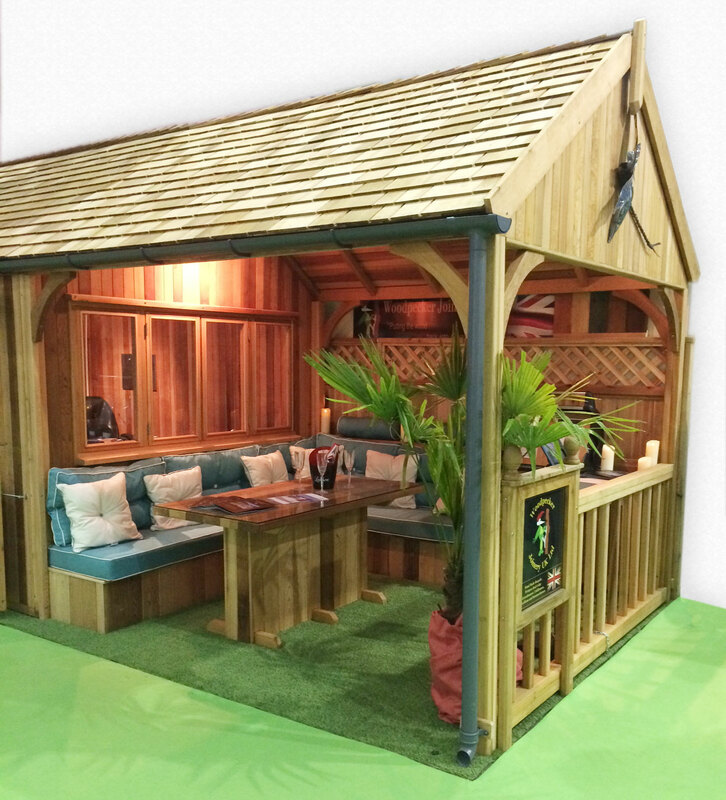 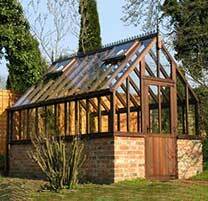 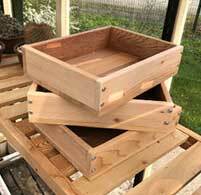 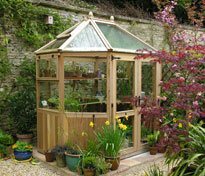 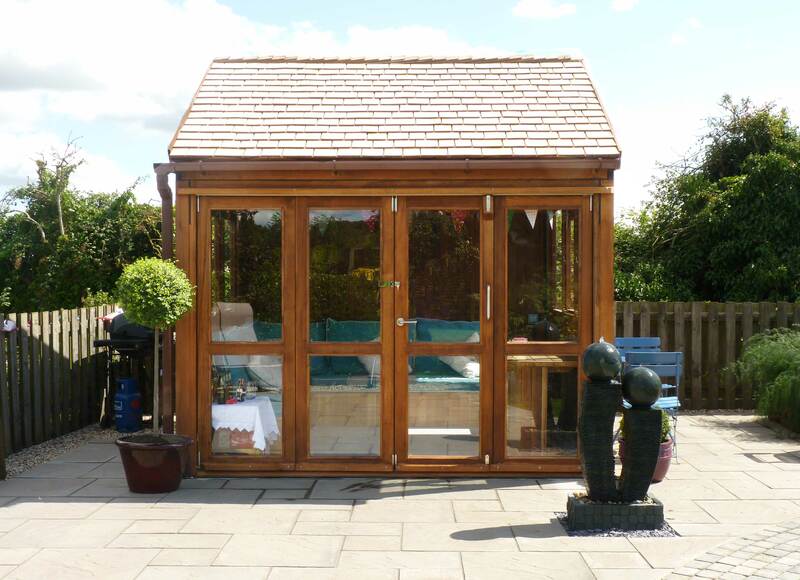 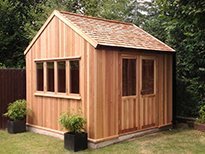 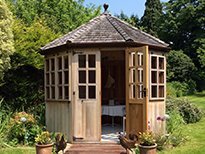 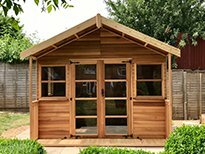 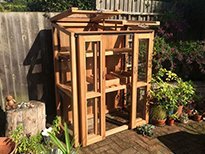 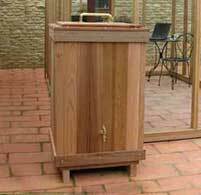 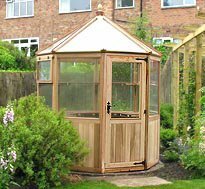 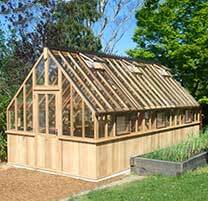 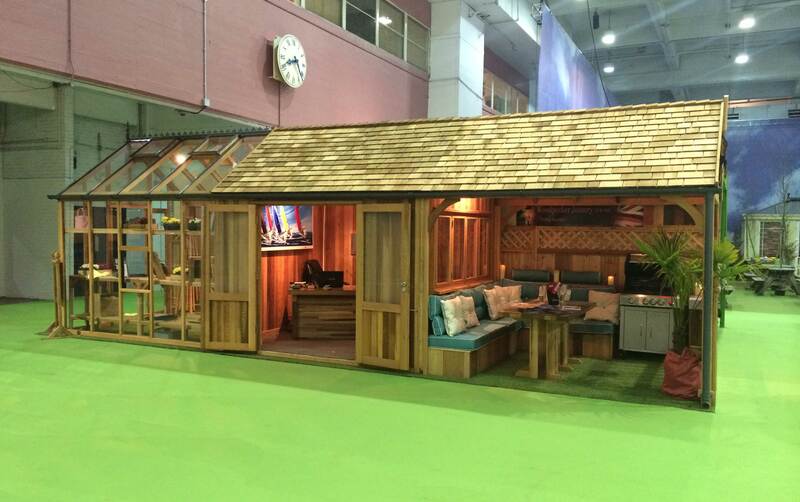 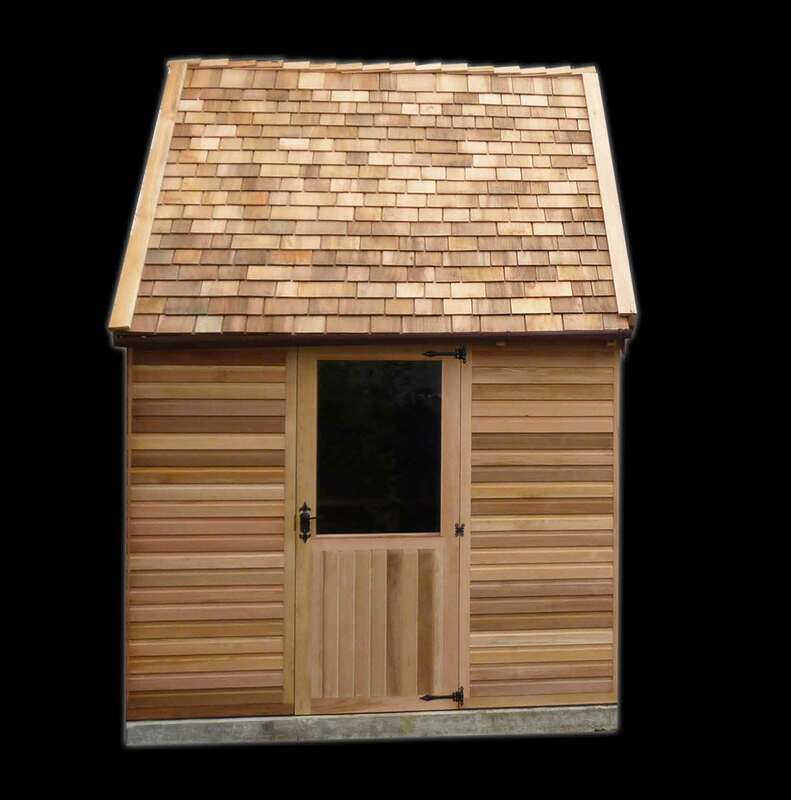 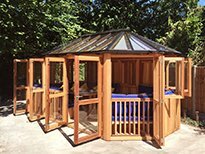 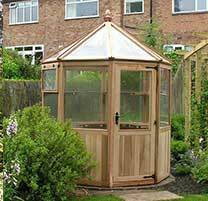 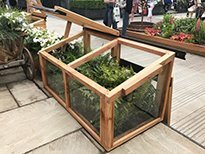 Our Cedar Adelaide lounge can be designed as free standing buildings, or offered as extensions to our range of home offices or greenhouses. Furnished interior of the Verandah. 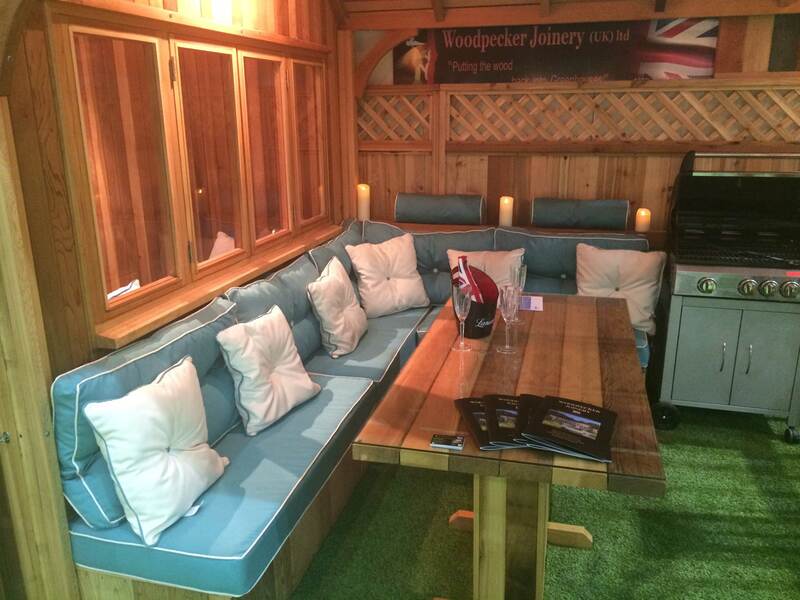 Upholstered with Spa blue and Porcelain white sunbrella seat and scatter cushions. 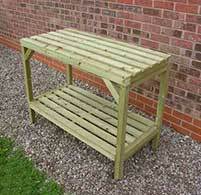 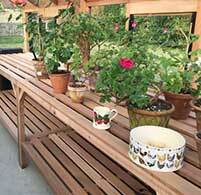 Western Red Cedar table with safety glass top.